An automaton is a self-moving machine made out of wood, metal, or paper. It is the perfect invitation to a crafter or maker to get down and dirty and create one of their very own! 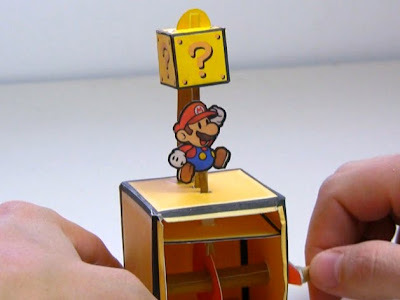 While on a paper art kick, I thought I'd try my hand at the art of automata, and in today's video break it down and show you how to make an old school Nintendo Mario Brothers paper automaton. 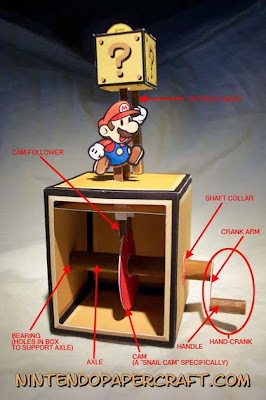 To download the Mario template and for more information on the art of automata check out my CRAFT blog on the video.